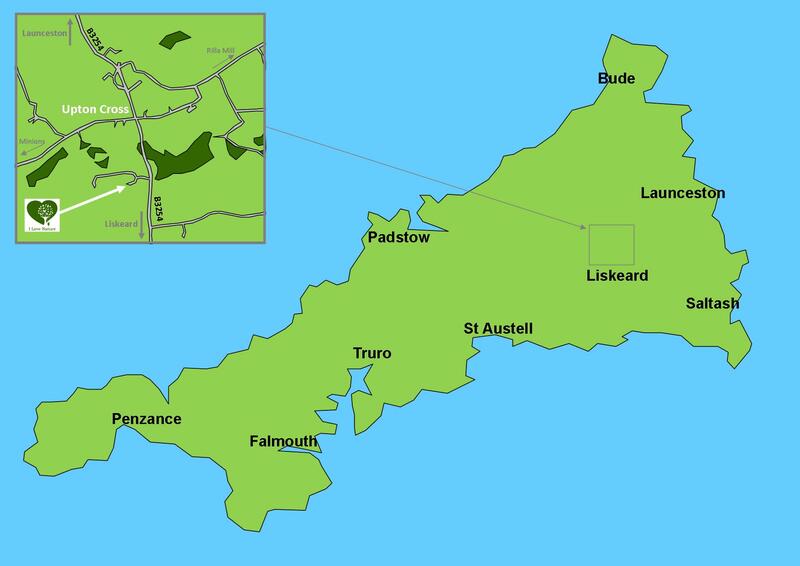 From the A38, drive through Liskeard and take the B3254 to Upton Cross, which is approximately 5.2 miles north of Liskeard. I Love Nature (and Marke Valley) is tucked away on the left-hand side about 400m before you enter Upton Cross. Our entrance is a little tricky to see. We're about 100m just past a public bridleway sign, and opposite our entrance are traffic mirrors mounted on the hedge. If you get to Upton Cross, turn around and head back towards Liskeard. We are the first turning on your right as you drive up a steep hill after you have passed a layby on your right. Opposite our turning there are traffic mirrors mounted on top of the hedge. From the A30, at Launceston, take the B3254 towards Liskeard. Upton Cross is approxiametly 10 miles. Drive through Upton Cross as if heading to Liskeard. We are the first turning on your right as you drive up a steep hill after you have passed a layby on your right. Opposite our turning there are traffic mirrors mounted on top of the hedge.